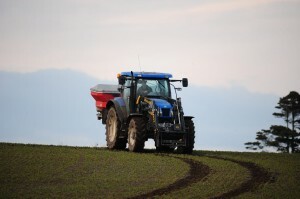 Applications for the 2019 Nitrates Derogation can now be submitted online, Minister for Agriculture Michael Creed has announced. The Nitrates Derogation allows farmers to exceed the limit of 170 kg of livestock manure nitrogen per hectare set down in the Nitrates Regulations, up to a maximum of 250kg per hectare, subject to adherence to stricter rules. The online system is aimed at simplifying the application process and assisting farmers to avoid penalties. Farmers can also remain compliant with the Regulations by managing their livestock numbers, exporting slurry/farmyard manure or renting additional land. Almost 7,000 intensively stocked farmers with an agricultural area of 466,000has availed of the derogation in 2018 with this being a marked increase in both the area and the number farming under derogation since 2014. Minister Creed said the Derogation provides farmers an opportunity to farm at higher stocking rates, subject to certain conditions designed to protect the environment and meet the requirements of the Nitrates Directive. The Minister announced that a review of the conditions of the derogation would take place this year also. The Minister stated; “In order to ensure the sustainable continuation of the derogation, a review will examine further opportunities for derogation farmers to improve efficiencies and continue to reduce their environmental footprint”. It is expected the outcome of this review, including recommendations be published by June of this year in order to allow derogation farmers sufficient time to plan for the 2020 year. The closing date for applications is March 31, 2019. 50% of all slurry produced on a derogation farm must be applied by the 15 June annually. After this date slurry can only be applied using low emission equipment. Have a Fertilisation Plan in place on the holding by 1 March. This plan should be submitted to the Department along with the application form unless the farmer has submitted a fertiliser plan to the Department in 2016, 2017 or 2018. Fertiliser plans must be based on soil analysis results dated after 15 September 2015. New applicants who do not have soil analysis results must assume Index 3 for 2019 but soil sample analysis, in respect of crop year 2020, must be available and the fertiliser plan amended accordingly and submitted online to the Department before 31 March 2020. Fertiliser accounts must be submitted to the Department no later than 31 March of the following year.